In the vibrant world of the elite and privileged, summers are spent on the crystal clear waters of the Ligurian Riviera and the Cote d’Azur punctuated with globetrotting adventures of affluence at glamorous jet-set luxury vacation playgrounds around the world such as Ibiza, St. Barts, and numerous other Caribbean summertime hot-spots. 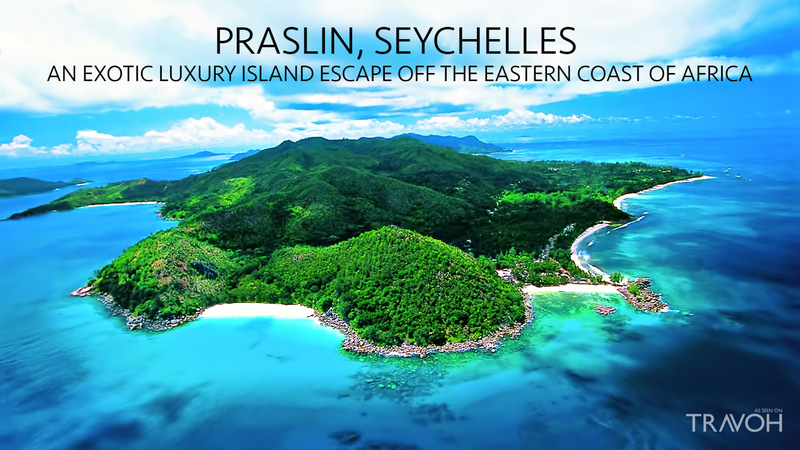 The Island of Praslin is an alluring island paradise located in the Seychelle Islands, a hidden gem off the East African Coast. It is the second largest of the 115 tropical islands that make up the Seychelles; the Island of Mahe being the largest, and La Digue the smallest of the three most tourist frequented islands. Located in the azul Indian Ocean, Praslin has an area of 38 km² and is home to around 6,500 people. Fiji is known worldwide for its breathtaking sun drenched beaches, crystal clear waters and beaming sunshine. All but a few islands in Fiji are surrounded by coral reefs and most islands have lagoons that are protected from development making this truly a get-away from the every day. With over 330 islands to select from, we have narrowed it down to the following exotic choices.